The greatest wealth is health. 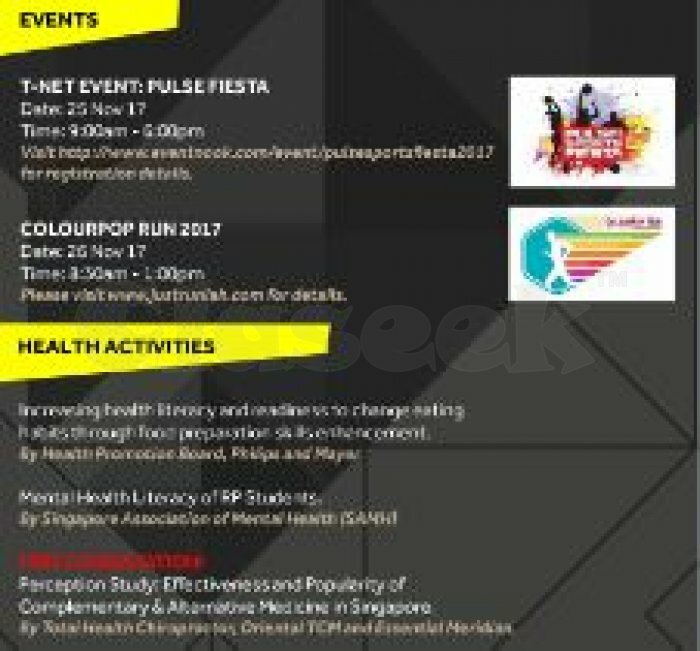 Boosting health is the major theme for this year’s Republic Ultimate Sports and Health Xposition 2017, RUSHX 2017. 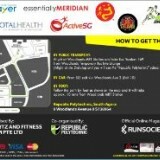 This is Singapore’s largest student-organised sports and health exposition. 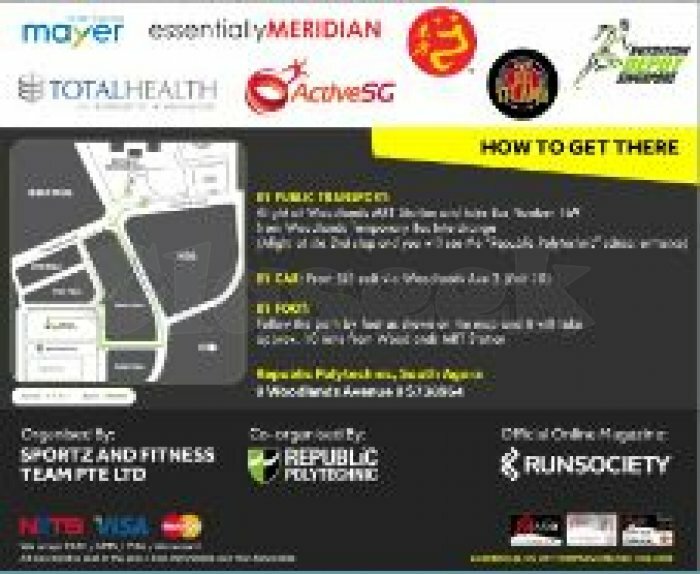 The event is run by Year 3 students from Republic Polytechnic as part of their Final Year Project from 23* to 26 November 2017, 9am to 6pm. In alignment to a statement by Minister of Trade and Industry S.Iswaran: “Pioneering a healthy future together”, students will design RUSHX 2017 this year to encourage healthy living, to Enrich lives, Empower a dynamic lifestyle to include a line of activities ranging from Athletic Fitness, Powerlifting, Crossfit and a health screening from as little as $2.00 (for those aged 40 and above)! 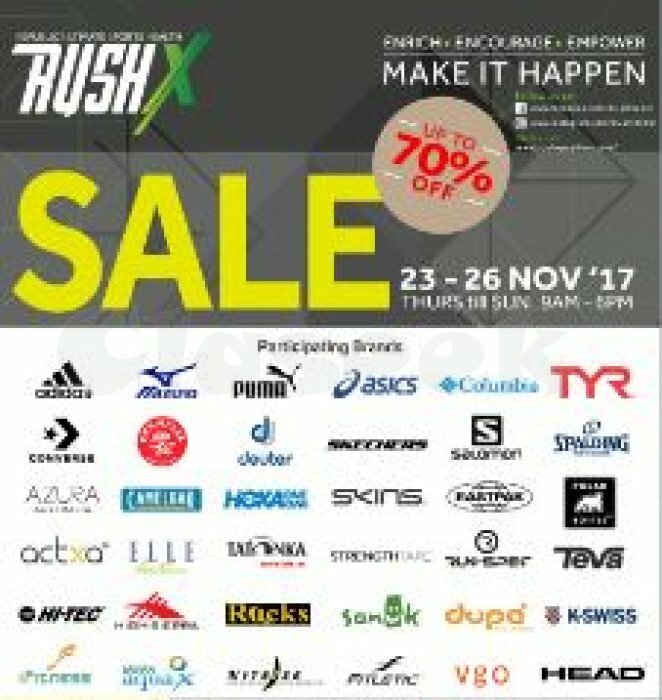 Working closely with external sports and health organizations, customers can enjoy up to 70% discount off on the wide array of products from brands such as Adidas, Puma, TYR, Asics, Crumpler and many more. 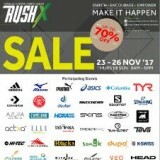 Enjoy SALES with UP TO 70% discount and stand a chance to win many attractive prizes! Taking care of yourself is essential. So come on down to RUSHX 2017 at the Republic Polytechnic South Agora and W1 Atrium. Save the dates and join the fun. We hope to see you there! 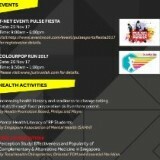 *23rd November 2017 will be a closed-door event, exclusive for Republic Polytechnic students and staff only.